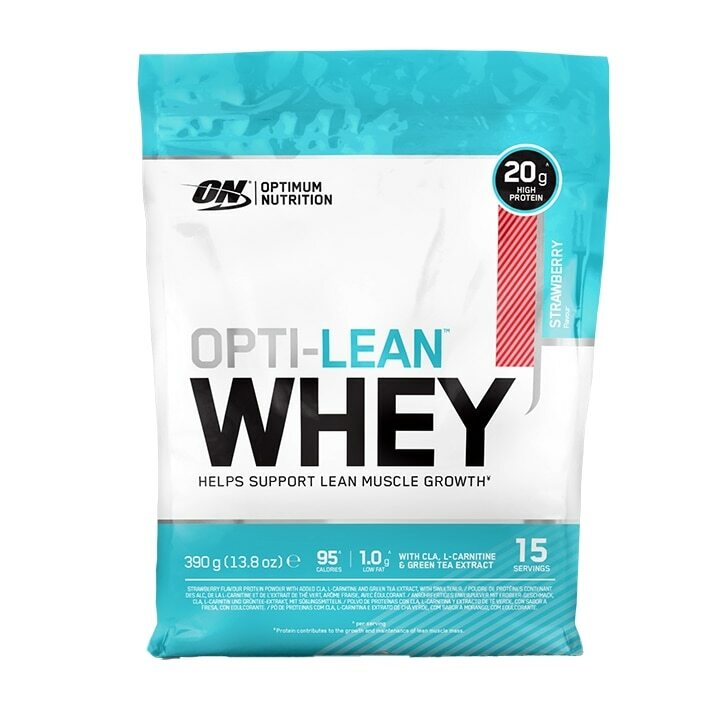 Optimum Nutrition Opti-Lean Whey Powder Strawberry is rated 4.5 out of 5 by 12. Rated 5 out of 5 by ariza from Great taste, low in sugar This is a great tasting protein powder that mixes really well and is also low in sugar. Highly recommended. Rated 5 out of 5 by Roses12 from It really works My husband is really pleased with this and has it every day. We normally buy the bigger size. BUT YOU ARE DISCONTINUING IT ALL SIZES, NOT HAPPY ABOUT THIS.